Cadmium: Mineral information, data and localities. From the greek calamine, as element occurs in ores smelted from calamine (smithsonite). This page provides mineralogical data about Cadmium. 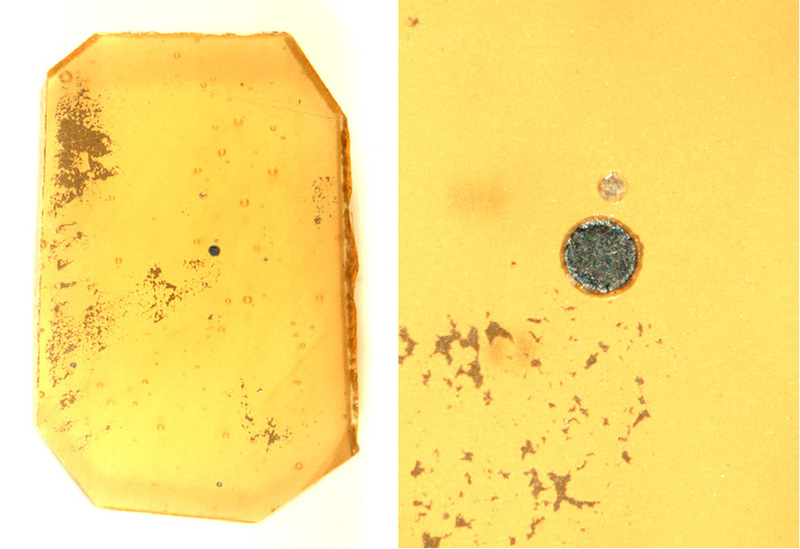 Found as microscopic grains in a heavy concentrate from a river in the Vilyui Drainage Basin, Russia; presumably weathered out of the Ust-Khannin intrusive gabbro. 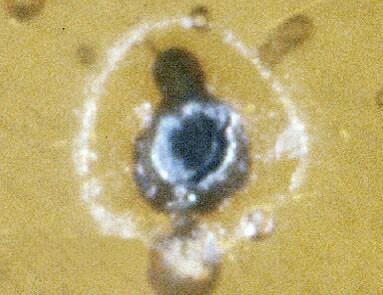 Oleinikov, B.V., Okrugin, A.V., Leskova, N.V. (1979) Native cadmium in traps of the Siberian Platform. Doklady Akademii Nauk SSSR: 248: 1426-1428. Fleischer, M., Cabri, L.J., Chao, G.Y., Pabst, A. (1980) New mineral names. American Mineralogist: 65: 1065-1070. Novgorodova, M.I., Zhivtsov, D.A., Gorshkov, A.I., Trubkin, N.V., Tsepin, A.I. (1982) Native cadmium from southern Verkhoyan'ya. Zapiski Vserossijskogo Mineralogicheskogo Obshchestva: 111: 304-315. Gaines, R.V., Skinner, H.C.W., Foord, E.E., Mason, B., Rosenzweig, A. (1997) Dana's New Mineralogy : The System of Mineralogy of James Dwight Dana and Edward Salisbury Dana, 8th. edition: 7.